It’s not unusual to find a treasure or goldmine close to midday when the garage sales are about to close. The great thing is that at this point they’re usually willing to let go of items a lot cheaper than they would have at 7am. Here’s the story of Joe a buddy of mine who experienced this first hand. It was around 11:30 am when Joe decided to finally head to the last garage sale on his list. They were already closing as it had started to get really slow. He looked around and saw what most of us would consider junk, kids toys, clothes, old dishes, vases and lots of mugs. While digging through a box that had been disorganized he found towards the bottom what looked like old books. Intrigued by the photos, he asked if the lady was sure she wanted to get rid of these pictures. She mentioned to him they were her ancestors but since she doesn’t know them or display them she didn’t really care for the photos. Joe paid $5 for each and brought the two pictures home and posted them on eBay. Not knowing what he had, the description wasn’t clear and he didn’t do his due diligence. The title description was something like “Book with antique picture”. Turns out this “book” was a daguerreotype. This is What the Photos look like, Please keep in mind these are not the original photos he found, and these are just examples to give you an idea what they look like. Not only was it a daguerreotype, but it was an image of a Civil War Colonel looking high and mighty with all his gear, the second photo was same Colonel in a different pose. What a find! He was getting offers of $5000 to $6000 and direct messages left and right. This led him to look a little deeper into what he had invested in. In the end he sold the daguerreotype for 8,570. This goes to show that you can still find a treasure even when you think everything good has already been taken. Keep digging my friends there are so many stories of amazing finds, and sometimes all you have to do is dig a little deeper. Want to Learn more about Daguerreotype Photographs? Have you found any treasures while in a Garage Sale or Estate Sale? Lladro is a Spanish brand that has been dedicated since 1953 to the creation of art porcelain figurines. The company was created by three brothers; Vicente, Juan and Jose at their home in Valencia, Spain. This venture started out as a hobby but in 1958 the brothers moved into a large warehouse and Lladro was born. 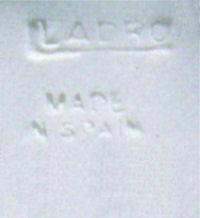 For a full history please visit Lladro directly by clicking here. Below is an introduction to the wonderful world of Lladro. 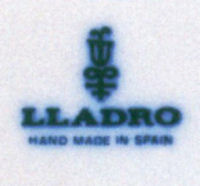 During the 1970’s Lladro started introducing their products to the American market so they changed their logo during this time. 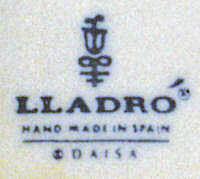 The brothers decided to use a typical bell-shaped flower called camanillo which was a common flower where Lladro was born. NOTE: these have never been used as a Logotype for their art work. Matte-Finish – This is a non shine finish. Gloss-Finish – This is difficult to miss due to the fact that it has a high shine. Gres-Finish – This finish is more colorful and has a satin sheen to it. NOTE: this is the most sought after finish since it is generally used on limited edition pieces. 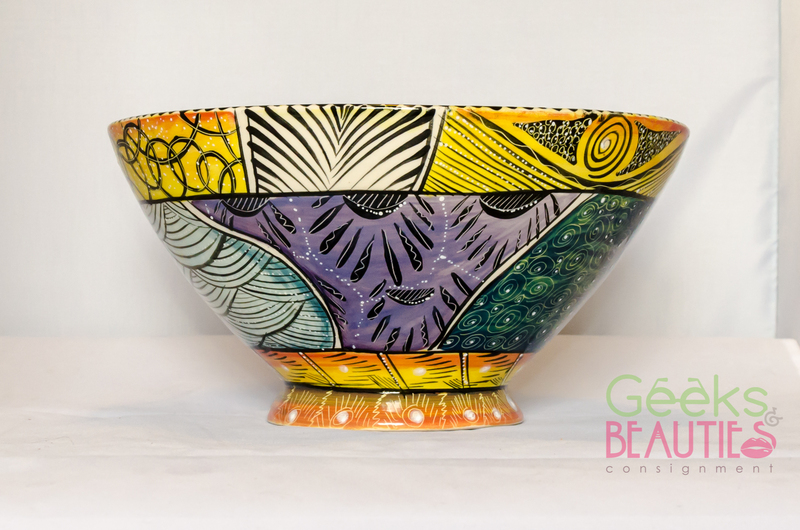 Limited Edition – This is a piece that is produced in limited quantities. These come with a COA Certificate of Authenticity with the Limited Edition number on it. Open Edition – These figurines are produced in unlimited number until they year they retire. Numbered Series – These are produced from the date of its issue until its retirement date, but are numbered in a non limited form, also comes with a numbered certificate. Lladro Nao? What is that? 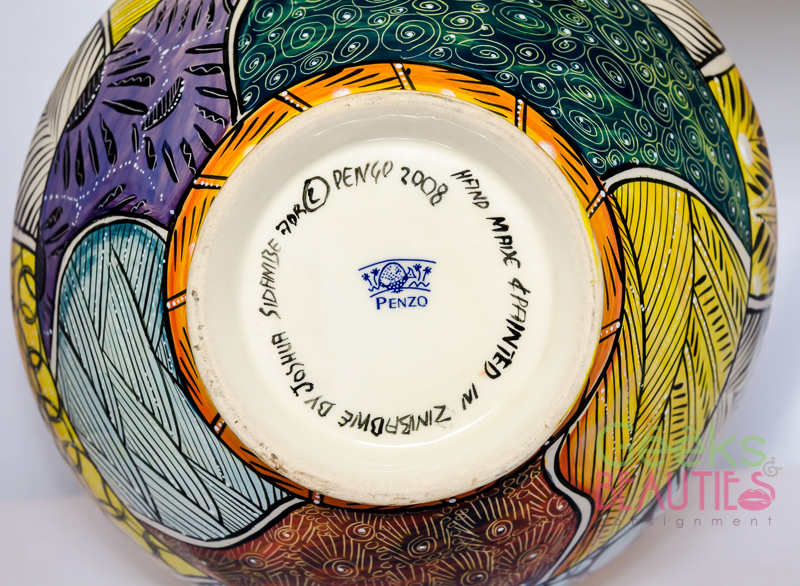 First and foremost you must verify the logotype engraved on the base of your art piece. Below you will find the different logotypes used, simply compare these to your own. 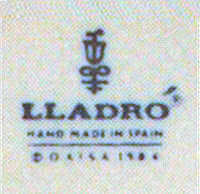 Fifth Lladro Logotype 1977-1984 reads, “Lladro Hand Made in Spain Daisa.” DAISA stands for Disenos Artisticos E Industriales, S.A. and they are the holders of Lladro intellectual property rights for the figurines. 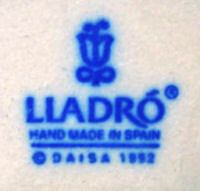 Seventh Lladro Logotype 1990 to current reads, “Lladro Hand Made in Spain Daisa (Year manufactured).” All current logotypes have a blue back-stamp and the bell flower was also changed. 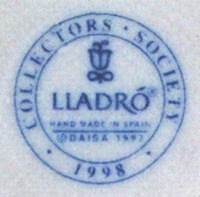 Collector’s Lladro Logotype reads, “Collectors Society (year) Lladro Hand Made in Spain Daisa (year manufactured).” The Collectors society started in 1985 and ended in 2001. If the logotype has been scratched off this means you have a second. This means that for whatever reason it does not meet quality standards. These second editions are still sold but are worth less than a perfect. Retired – This means that the piece is no longer being produced. Do you have a favorite Lladro? Have you ever gone to a Garage Sale or an Estate Sale and wondered, “MMM I wonder if this is worth anything.” What do you look for when you’re out on the field enjoying the thrill of the hunt? Here are a few secrets you should know before you hit the Garage Sales this weekend. The first and foremost secret is identifying the brand by locating the Signature a Logo or even a Brand Mark. In this day and age we all have smart phones so utilizing it is going to be crucial so make sure you download phone applications like eBay and Amazon so you can search for your items and remember charge your phone before the hunt. The majority of the time you will find this underneath or behind the item but at times can be located elsewhere, be vigilant my friends and practice that of which we have very little, Patience. Once you have found the brand or signature the next step is going to a search engine like Google or even the Amazon or eBay apps. Keep in mind that you don’t want to just search the brand name only, as this will populate your screen with everything they have ever made and not what you are looking for. 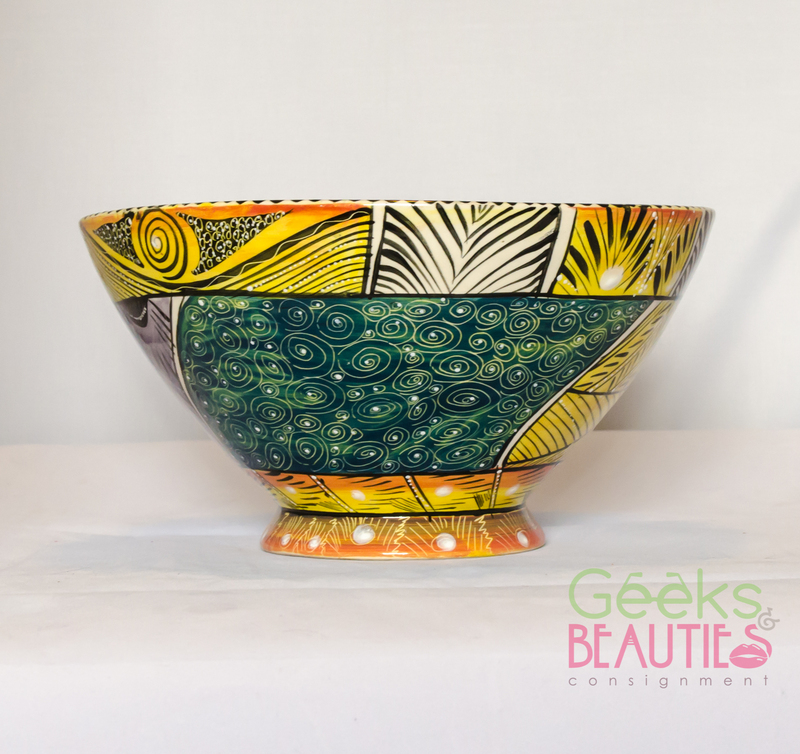 As an example here is this Penzo Bowl, These are hand made and painted in Zimbabwe Africa. In this example you get more related links coming up and that is what you need. I have been guilty of this more times than I can count. I find this amazing item and everyone is selling their items really expensive so I get excited and make the purchase. Only to find out that the item isn’t worth what I paid. Had I Refined my search I would have seen what people are actually paying for the item. Here’s how: On the eBay application you click on the empty field and you type in the item you are interested in purchasing and hit search. Then on the top left under the search field you will find an option named, “refine” click it. Scroll to the bottom and check the boxes for, “Sold Items” and “Completed Items” then click done. Doing this will give you a list of the items that have sold and will give you the price it sold for as well, giving you an idea of how much you can expect to make if you make your purchase. Have you found any worthwhile items on your hunt? 3 MUST KNOW Facts Before Consigning An Item! Do you have an item you want to sell because you know it’s worth allot? Well here are a few facts you need to know before you try to sell the item. This is a Lladro which is an imported statue from Spain, and the name of the piece I’ll be using is called, “The Gift of Life.” This limited edition piece has a matte finish and was sculpted by Antonio Ramos. She was first released in 2002, but later got discontinued (retired) in 2013. The above picture is what I will be researching as an example. This is by far the most important step when trying to sell an item at a consignment store. You can find more information on how to identify your item Here. For the most part you need to know the Brand Name, Product type and better yet the model number. You must also check to see if your item is a replica, second or third edition or if it’s a faux product. Once again, here are examples of the current prices on my Lladro, but note that the original MSRP was $2,000. Once you have all the product info handy it starts getting interesting. There are so many places where you can research prices online for example: Craigslist, Amazon, Etsy, eBay and even Google Shopping. After researching similar products, you’ll start having an idea of what the value is. As far as the example goes I was only able to find one store that was sold out and it sold for $2,000. As you will find, there are varying prices for the products you searched for. When determining the true resale value of your item take into consideration the defects, wear, and problems your item might have, as this tends to impact the value. Now that you know the value of your item, you are ready to make the decision, to consign or not to consign. You can find out more about consignments Here. Did you find a hidden treasure in your home? Let us know what you uncovered. A consignment is when you put your item up for sale in a store to be sold for you. An example of these is antique stores since they will consign your item instead of buying the item from you. After your item gets sold you will then get paid minus the consignment fees which are usually 10-30%. 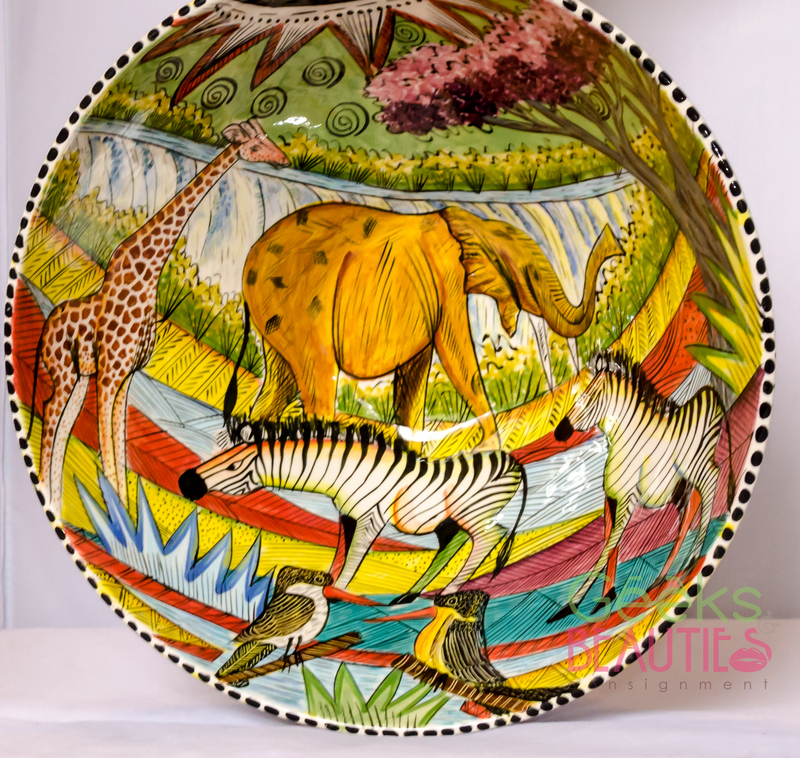 What type of antiques and collectibles should be sent to consignments? Usually you want to send you’re mid to high end antiques and collectibles. Some stores might take lower valued items, but they tend to charge higher consignment fees. REMEMBER: Do Your Research! Even though your item will be on consignment you still have to price the item and you don’t want to cut yourself short. An online antique store is the same as any other antique store with one major difference, that the whole world is your customer base. This option is great because, one you don’t have to take your item to a store and most cases all you need is a good picture of the item a price and a description.